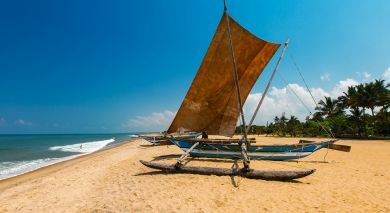 Mirissa and Weligama are small towns located on the southern coastal tip of Sri Lanka, just 200 kms from the Equator. These towns, which are known for their fishing industry, are also home to the renowned stilt fishermen, who sit on a single pole in the water and use bamboo rods for fishing. 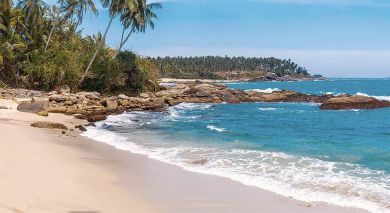 In Mirissa, all the accommodation is set away from the beach, and it is a great spot for whale and dolphin watching excursions. 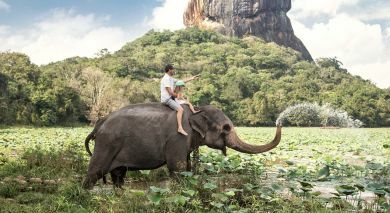 Weligama literally translates as ‘sandy village’ and is known for its beeralu lace-making, which was introduced in the 16th century by the Portuguese and is today a cottage industry. It is located close to various important historical sites, including the 6th – 9th century statue, Bodhisattva Avalokiteśvara. Experience beautiful sunrises and sunsets on these tropical beaches, or unwind with friendly nightlife. Kick back, relax and dream away the day in these coastal settings. 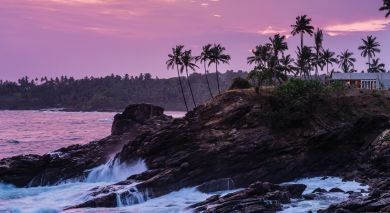 Cape Weligama is located in the town of Weligama, which is right on the beach and surrounded by the sun-kissed coast. Weligama Bay Marriott Resort & Spa towers over coconut palms in the heart of Weligama Bay. Rest in well-appointed living spaces with plush furnishing and modern amenities.